The questions and answers below are some of the common ones we receive with regard to home remodeling, renovation, and reconstruction. The answers should be helpful to understand the process of remodeling your home and choosing the right general contracting company for your project. If your questions are not answered here, please contact us using our contact form, or for a faster response, call our main showroom during business hours at 425-228-3427. Q: How soon can my project begin? A: We can start your project as soon as all your design and material decisions are made and all the products you selected are in our hands. Together we can then execute a schedule for your project. A: At this time we do not offer in-house financing but we will work with each customer, on an individual basis, to create payment terms that will accommodate your budget and timelines. A: We service most of the Puget Sound area in King, Pierce, and Snohomish counties, including these cities: Auburn, Bellevue, Bothell, Burien, Covington, Des Moines, Federal Way, Issaquah, Kent, Kirkland, Lynnwood, Maple Valley, Mercer Island, Mukilteo, Puyallup, Redmond, Renton, Seattle, Snohomish, Tacoma, Tukwila, Woodinville, and surrounding cities. Q: Do you practice "green" construction methods? A: Yes, please ask your project manager for all the details. Q: Can you provide us a bid that allows us provide some of the material? A: McClincy's would prefer to provide all materials to ensure warranties and timeliness execution of your project. However, we will review each request on a case-by-case basis. Q: How do you prevent project delays? A: By having a detailed Scope of Work and ensuring that all products and materials are readily available, prior to commencement of work. In addition, your project manager will work with you and your McClincy team to maintain a master schedule, so you are informed throughout the process. Q: What happens if you get off schedule? A.Unexpected delays can occur , and we are willing to work outside our normal working schedule to accommodate your specific timeline request. Q: Can you suggest financing sources or help us find them? Yes, we recommend that you visit with your local bank branch to understand financing options available to you; Ie. home equity or personal credit lines. For your convenience we accept VISA and Mastercard as an acceptable form of payment. Q: Is any home improvement project too large or too small for McClincy's? 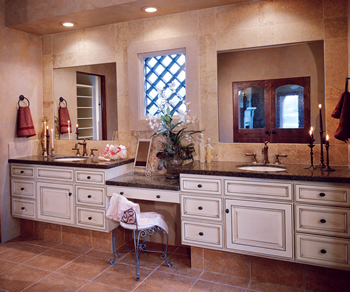 A: We have the personnel, knowledge, and expertise to work on any size home remodeling project. 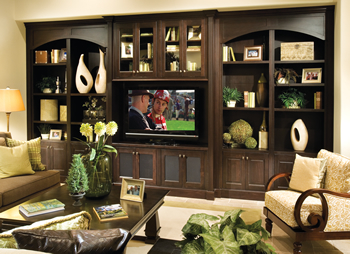 Discover valuable resources on home improvement and more! Contact McClincy's 24/7 for the emergency help you need with damage from water, flooding, fire, smoke, wind, or storms.